For the past 45 years Central Technology Center has been achieving success by changing lives through technical education and services. In July 1967, the Central Oklahoma Area Vocational Technical School Board of Education held their first meeting, and in August of 1968, citizens in the Central Vo-Tech school district approved a $935,000 bond issue for construction and equipping the original building in Drumright. The first classes, practical nursing, truck driver training and heavy equipment, began August 22, 1970 on the new campus. In the meantime, classes in practical nursing were conducted in a rented school building in Drumright. Through the decades, Central Tech’s growth continued. In 1976 Central Tech began teaching classes in Sapulpa in an old Coke plant, which led to a second campus being developed in a former discount retail center on the south side of Sapulpa, opened in 1978. In the ‘80s Central Tech expanded their facilities, and in 1989 and was recognized as the statewide truck driver training program. In 1991 Central Tech built the Center of Business Development in Drumright and has been assisting business and industries with safety training and business development ever since. In fact, in 2009 Central Tech was recognized as Oklahoma first Safety Center of Excellence, and since then has opened a building dedicated to pipeline, safety and industrial training on both campuses. The legal name for the technology center was officially changed to Central Technology Center in 1995, when the state vo-tech system became Oklahoma CareerTech. Central Tech is a top performer in Oklahoma CareerTech system ranking high in job placement for graduates. It is the only technology center to be awarded the Gold Star School Award for excellence in technology education since the inception of the award in 1990. Today, Central Tech has more than 29,000 annual enrollments each year, and provides customized business and industry training to more than 500 area businesses. For more history visit Central Tech’s Open House and register for a grand prize and receive commemorative edition playing cards with 54 facts about Central Tech’s history (while supplies last). 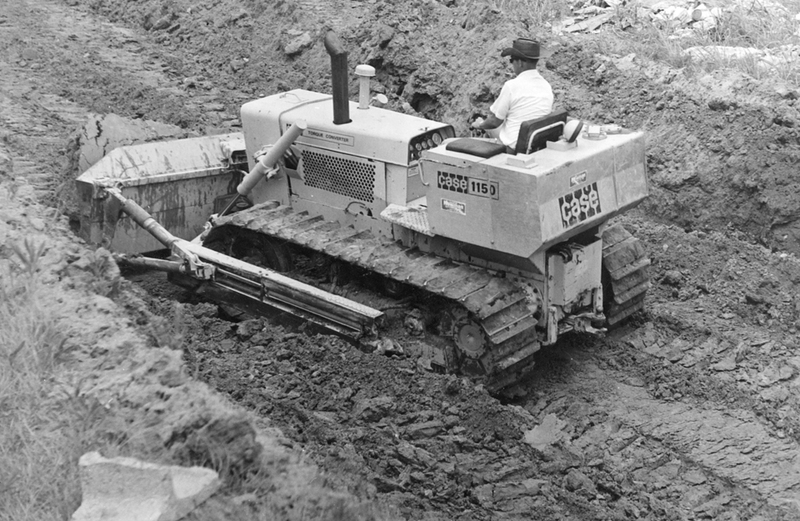 A bulldozer breaks ground in 1969 at the site of Central Tech’s Drumright campus. In August of 1968, citizens in the Central Vo-Tech school district approved a $935,000 bond issue for construction and equipping the original building in Drumright. In 1983 Central Tech added the administrative and technology addition. 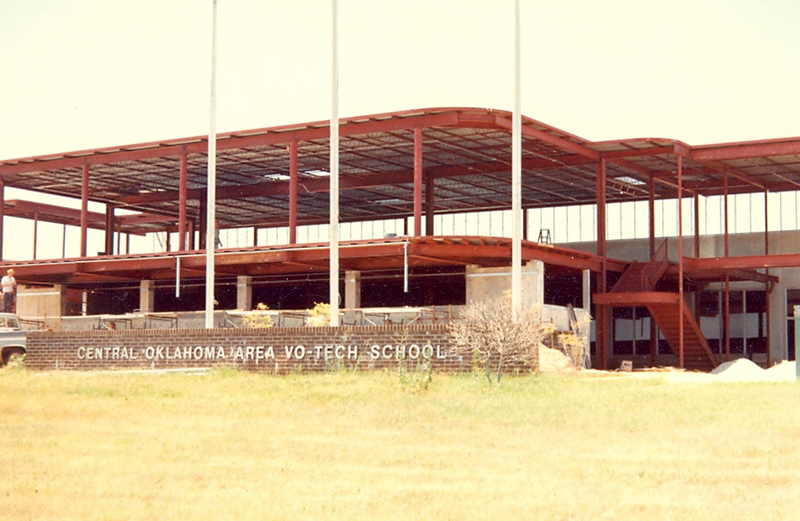 Central Tech began as the Central Oklahoma Area Vocational Technical School 45 years ago, and in 1995 changed its official name to Central Technology Center when the state vo-tech system became Oklahoma CareerTech.